On tonight’s episode of The Flash, hilariously titled “The Elongated Knight Rises,” we unearth a lot of really cool #DCTV Secrets (aka Easter Eggs) brought to the small screen for the first time. Not only is Barry Allen undergoing a pretty big change and we’re having to see him adapt to his new surroundings in prison, but he is straddled with living up to the legacy laid out by Henry Allen during his time behind bars. Part of this legacy comes in the form of a big, tough man going by the name of Big Sir. If you are a California resident, like myself, the name might make you initially think of a vacation spot. However, it does actually have a legacy in the larger DC Universe. 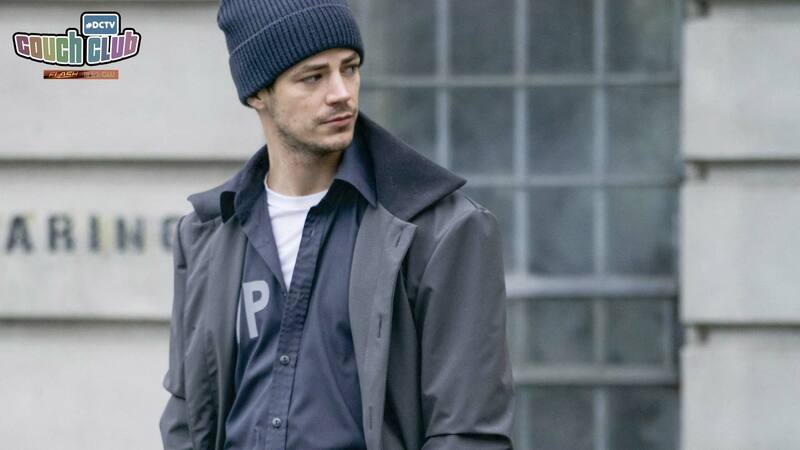 His real name is Dufus P. Ratchett (The Flash writers made a smooth move updating his character name to a more respectable “Dave” toward the end of the episode), who is intellectually handicapped, but very strong. His on-screen counterpart spends much of “The Elongated Knight Rises” actually looking out for Barry Allen. His affection is derived from a sense of duty he feels toward Henry Allen, who once saved his life. While Dave very much embodies the muscle-bound hulk that Big Sir was first imagined as, he is presented instead as a thoughtful man with a true sense of honor even in an environment of criminal and thieves. I’m not sure whether or not Big Sir is going to go on to bigger and better things on The Flash, or in the grander #DCTV Universe, but I found it gratifying to know that there is someone on the inside who has Barry’s best interests in mind and who bucks the stereotypes associated with people who are incarcerated. I’d love to know what you thought of this new character as well, so hop down into the comments section and let me know! There’s also a pretty great pay off for Ralph Dibny. He’s struggled for quite a while to define the type of hero he wants to be. This is a typical trope for all superheroes to undergo and one that longtime #DCTV fans are familiar with. Everyone from Oliver Queen to Vixen has had to examine why it is that they are acting so bravely under the extraordinary circumstances that they find themselves living under and—luckily for the Multiverse—most of them decide the route of good. What’s especially rewarding, as a comic book fan, about Ralph more clearly defining the Elongated Man is that Cisco has finally designed and constructed a proper costume for him. The grey shifting suit was a lot of fun for a while, but the purple—the purple is a nice nod back to the best suit Elongated Man has ever worn…in my humble opinion. Even Elongated Man’s soaring ascent into true heroism doesn’t steal every scene throughout “The Elongated Knight Rises.” Zoey Clark is the civilian name of the villain Prank who was first introduced in the 1991 Flash television series in the episode “Trial of the Trickster” as the jokey henchgirl to Mark Hamill’s Trickster. In everything from personality to outlandish costume, she is a proto-Harley Quinn. Fun fact: Prank was created in 1991, while Harley Quinn first debuted on Batman: The Animated Series in 1992. The Flash excels at folding in legacy performers from this original Flash series, and I was so thrilled to see that actor Corinne Bohrer returned to this part that she originated over 25 years ago. She is effortlessly introduced as the mother of the younger Trickster and the one parent who always had what she views as his best interests at heart. Granted, through Prank’s lens this means everything from endangering innocent Central City civilians to spraying acid about wildly at any wayward superhero who might stand in their way. The elaborate death machine that Prank manipulates in the final scene is an epic throwback to the Silver Age of Comic Books. Much like the Elongated Man himself, I think Prank both exemplifies and elevates some of the sillier history that has inspired this new nerdy medium. She’s fun and dangerous, a potent mixture, and a character that I think could be an awesome recurring rogue. The archetype that underlies her character is obviously well-liked and it’s fun to see this kind of joy infused into some of the darker corners of The Flash mythos. Chances of the elder Trickster returning to the show are less likely than Prank, and having someone older and wiser for the members of Team Flash to go up against has proven to be very successful in the past: I’m looking at you, Heat Wave and Reverse-Flash! Want to see more or Prank and the Tricksters? Let’s chat about it!